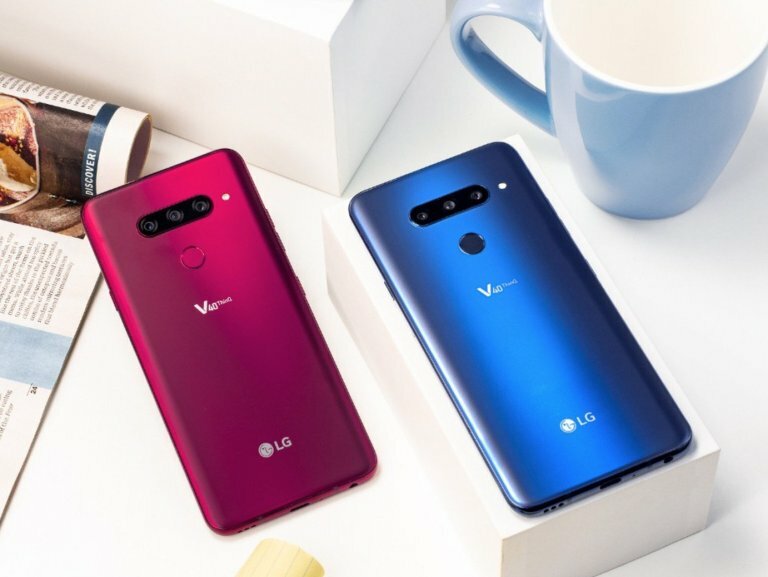 There are a few days left, the LG V40 will officially be released to the public. Before its official launch, in this post today we’ll share you all information we collected from sources about the upcoming LG flagship. From the specs, date, price, then we’ll compare it to other rivals. After a number of rumors suggesting a late November release date, but LG officially confirmed that the company would deliver this phone to fans faster than before. According to LG, the LG V40 will be introduced on October 18th or 19th in the United States, depending on carriers and the new flagship will start pre-order in select regions from today, October 3rd. The launch date in stores is October 19th, but those in the United States who make an online pre-order will get a delivery to their home on October 18th. It is faster than the last-year V30. As we said earlier, the pre-orders will start from October 3rd in Korea, then one week later in other regions. Although the preorder date is not too important, the deal LG offers is worth considering. 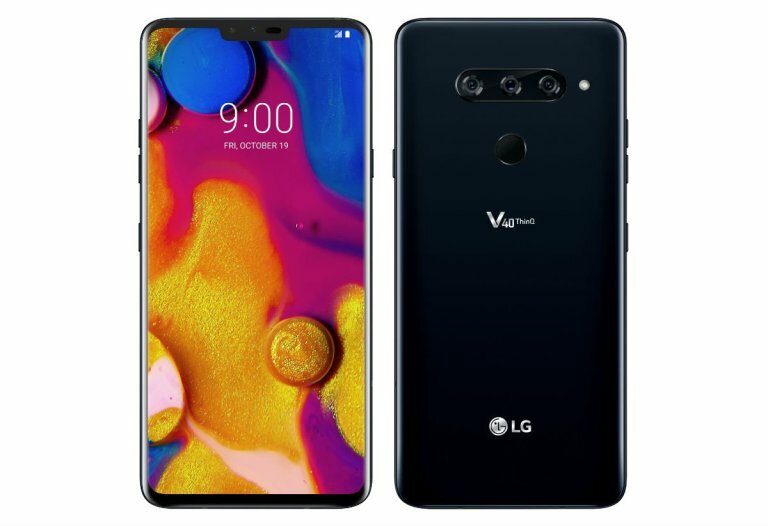 If you are planning to pre-order an LG V40 from LG, carriers, or any other retailers, you will get some exciting incentives from LG. Basically, LG is also offering items that are similar to Samsung giving out free a micro-SD card or Gear VR headsets for their Galaxy flagship smartphones. Since the LG V30 last year did well, as it featured a large edge-to-edge display, thin bezels, so we’re getting more of the same on the upcoming V40 this year, only the screen is slightly bigger. Another improvement is that the LG V40 is equipped with a new OLED 6.4-inch panel from LG, which has the same size as the Super AMOLED panel on Samsung’s Galaxy Note 9 and slightly smaller than the panel of iPhone Xs Max. While there is still a notch on top of the screen, the bezels on both the top and bottom are thinner than Galaxy Note 9 and smaller than most other phones on the market, except for iPhone XS, XS Max. Additionally, if you don’t like the notch, there is still an option to hide in Settings. In terms of design, the upcoming V40 features premium all-metal frame and glasses on both the back and the front, rounded edges, which provides an easier holding than the square Galaxy Note 9. Interestingly, LG V40 will be the first smartphone being equipped 5 cameras, two on the front between the notch and triple cameras in a straight line on the back. Other features such as wireless charging, expandable storage, IP68 certification still appears on the upcoming phone. With a big 6.4-inch screen, the LG V40 is the biggest smartphone in V-series ever and is released to directly compete with the Samsung Galaxy Note 9, Pixel 3 XL, and even iPhone Xs Max. From the first LG V10 introduced in 2015, the V-series has become the best and most expensive LG smartphone. Here are full specifications of the LG V40. Triple Cameras on the back: a 12MP primary lens with OIS, a 16MP wide-angle lens, and a 12MP telephoto 2z optical zoom lens. According to the specifications, the LG V40 will absolutely be a powerful smartphone. There is only one thing we worry that it’s the phone battery. LG’s has used the same 3,300 mAh battery capacity from the first generation until now, while screens are getting bigger and everything else requires more power. With a large 6.4-inch Quad-HD OLED display, we look forward to a bigger battery. However, initial reviews are positive on battery usage and report that it can last as long as other devices with bigger battery capacity inside. It’s great when the release date will be earlier than our expectation. However, how about the price of the new phone? As it’s a flagship smartphone, so the price will be expensive. Compared to the Galaxy Note 9 and iPhone XS, LG V40 will be slightly cheaper than, but it’s not much. The LG V20 went on sale at $830, the V30 cost $800, and the newer V35 was $900, so, as expected, the upcoming LG V40 will be priced around at $900 depending on the market. In the United State, each carrier offers a different price, which might be frustrating for customers. Here’s the breakdown for those who intend to buy the new phone from carriers. Although the price is expensive, you still save around $100 off over the $999 Galaxy Note 9. For what it’s worth, there is only the 64Gb variant being sold in the United States. If you look at other factors such as a huge screen, thin bezels, five cameras, Quad-DAC audio chip, and many, you will realize that this price makes sense. While you don’t get a 128GB internal storage, or an S-Pen stylus, but the phone cameras make up for those differences. Are you planning on purchasing the upcoming LG V40 or looking forward other newer phone like OnePlus 6T or Galaxy S10? Let us know in the comment below.